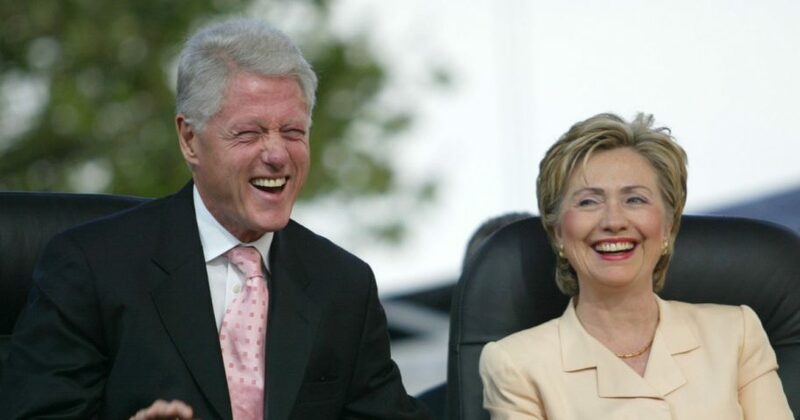 Does the Department of Justice have an unwritten policy not to charge the Clintons for anything, ever, no matter what, even if prosecutors vindictively go after the Clintons’ political opponents for the most trivial and petty “offenses”? After all, which is the bigger deal, Hillary Clinton’s private email server or General Michael Flynn’s alleged exculpatory “no”? Which is the bigger corruption, former Attorney General Loretta Lynch holding a clandestine meeting with Bill Clinton during the 2016 presidential campaign when Lynch was ordering the DOJ to publicly spare Clinton from the word “investigation,” or Paul Manafort cheating on his taxes before the campaign even began? And which is the bigger threat to American democracy, a bunch of hapless Russians trying to fill campaign rallies, or a rigged DNC primary? Or how about the DOJ paying a British firm which employed a former CIA operative to manufacture an unreliable dossier and then misrepresenting that dossier in secret wiretap applications so that the Justice Department could spy on the Trump campaign? And the list keeps on going and growing. For example, sources close to Clinton gave some $675,000 to the wife of former Deputy FBI Director Andrew McCabe just before he assumed a leadership role in the Bureau’s apparent grooming of Clinton’s emails. Further, according to the DOJ’s own Inspector General, McCabe either lied or omitted the full truth while he was speaking to investigators under oath — which would be a federal felony if true — and he barely lost his pension. Indeed, it almost goes without saying that no charges have ever been filed against McCabe or his wife. Instead it seems that Jerome Corsi, former D.C. bureau chief of InfoWars, is reportedly facing an imminent indictment for what he has described as a “perjury trap.” Yet unlike McCabe, he was not a paid DOJ employee who was sworn to uphold the law and chances are that he wasn’t even under oath. Similarly, reports have begun coming out that there are now sealed federal charges pending against WikiLeaks founder Julian Assange, who helped publish the non-government campaign emails of Clinton staffer John Podesta. Funny, Clinton apparently gets to mishandle classified information, an act to which then-FBI-Director James Comey responded by saying that no “reasonable” prosecutor would bring charges, but WikiLeaks publishes campaign documents obtained by others and all of a sudden it’s time to present possible indictments to a grand jury? All because what — Clinton lost? And now she wants to run again? How long will the American body politic tolerate these glaring double standards? And how did it get this way? Why does it seem that Clinton is above the law? Further, shouldn’t the left be concerned at its own demonstration of such bald hypocrisy for all to see? One of the left’s latest such contradictions is its demand that new Acting Attorney General Matthew Whitaker should recuse himself from overseeing Mueller because Whitaker has previously spoken frankly about these charades. However, as Alan Dershowitz pointed out, if anyone should have recused themselves, then that person was Deputy Attorney General Rod Rosenstein — who was a potential witness in the investigation itself — and that recusal should have happened a long time ago — like on day one. To be sure though, a large part of this problem of seeming impunity is the lopsided representation at the prosecution table. Before President Donald Trump took office, the DOJ had been stocked for 28 years with hires from the Bushes, then the Clintons, then the Bushes again, then finally Obama. So, it’s not exactly surprising that few in the Justice Department seem to want to do their jobs and that means doing anything positive for Trump or the millions of Americans who voted for him rather than for their patrons from previous administrations who now find themselves at odds with the commander in chief. Therefore, maybe it’s time to revive the discussion about appointing a second special counsel now that Whitaker is in charge and the midterms are over. After all, there’s a healthy list of candidates to replace Sessions and any one of them would also make a splendid choice for a new special counsel. Maybe Trey Gowdy would finally get to the bottom of the Clinton State Department and email-gate. Or Jeanine Pirro might have the zeal to do it. America’s Mayor, Rudy Giuliani, would also be a superb choice. And maybe some people should get a taste of their own medicine, courtesy of the Federal Bureau of Prisons.